Here's the worn cover of the 1922 hardcover "The Rover Boys at Big Horn Ranch." It was written by Edward Stratemeyer under the pseudonym Arthur M. Winfield. This was the 26th book in 30-book Rover Boys series, which was originally published between 1899 and 1926. My Dear Boys: This book is a complete story in itself, but forms the sixth volume in a line issued under the general title, "The Second Rover Boys Series for Young Americans." From reports received I am assured that the sale of this line of books has now passed the three million mark! This is as astonishing as it is gratifying. I sincerely trust that the reading of the volumes will do all of the boys and girls good. The Bobbsey Twins, established in 1904. The series was published under the pen name Laura Lee Hope. 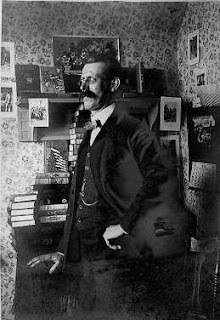 Stratemeyer himself is believed to have written the first Bobbsey Twins book, followed by Lilian Garis, who wrote volumes 2 through 28. Tom Swift, established in 1910. Most of the series was published under the pen name Victor Appleton. Most of the early volumes were written by Stratemeyer and Howard Garis, of Uncle Wiggily fame. The Hardy Boys, established in 1927. The series is published under the pen name Franklin W. Dixon, and many of the early volumes were written by Canadian Leslie McFarlane. Nancy Drew, established in 1930. The series is published under the pen name Carolyn Keene, and many of the first books in the series were written by Stratemeyer's daughter, Harriet Adams, and Mildred Wirt Benson. And it all started with the Rover Boys series, which was wildly successful in its own right and paved the way for all of the above.3 The series was so successful, in fact, that it spawned parodies, most notably the 1942 Warner Brothers cartoon "The Dover Boys at Pimento University", which was directed by Chuck Jones. That cartoon has fallen into the public domain and so I'm able to present it here without any copyright infringement. 1. For more on the history of Stratemeyer Syndicate, see the 1986 book "The Secret of the Stratemeyer Syndicate: Nancy Drew, the Hardy Boys and the Million Dollar Fiction Factory" by Carol Billman. 2. I was also surprised to discover the amount of criticism that Stratemeyer Syndicate books received from libraries in the first half of the 20th century. 3. The series established a template that persists today with everything from Sweet Valley High to Goosebumps to the "reboot" series The Hardy Boys: Undercover Brothers. My personal favorite series growing up was the Three Investigators series, featuring Jupiter Jones, Pete Crenshaw, Bob Andrews and "cameos" by Alfred Hitchcock. So interesting Chris. Who can forget The Bobbsey Twins, Nancy Drew and the Hardy Boys. I know I have some of the Bobbsey Twins. I might have a Nancy Drew or two. 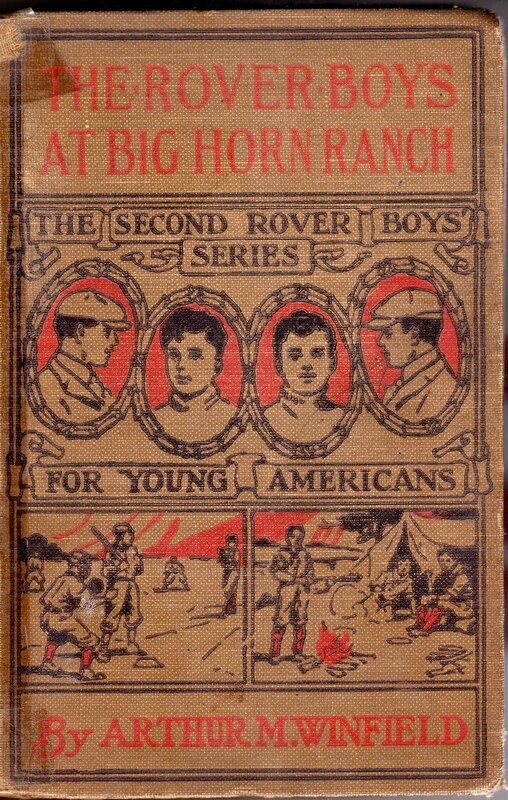 I have a hardback copy of the Rover boys at big horn Ranch. Do you know how I can find out the value of this book? We would need to know the book's condition and whether the dust jacket is still intact and what condition it's in. This is not, however, considered a rare volume. If there's no dust jacket, I'm guessing the most the book is worth is about $5. If it has an original dust jacket that's in nice condition, my guess is that it could increase the value to $20 to $30, but you might want to take it to a dealer who specializes in these kind of books.